Take a shuttle to get to and from the airport. They are much less expensive than regular taxis. Taxi fares are not regulated, so the prices vary greatly. Some hotels operate their own shuttles, so check with your hotel before you arrive. The State of Hawaii forbids ride-sharing drivers such as Uber from picking up customers at the state-run airports unless they have a state permit. Despite a potential $500 fine, many Uber drivers have been taking the risk. Hopefully, at some future date, Oahu’s rail system will be completed and allow passengers to travel as far as Ala Moana Center by rail. On some islands, most visitors rent a car at the airport. It’s the most convenient means of transportation to and from your lodging especially on the islands with limited public transportation. Be sure to take advantage of your rental car and drive around the islands. It's the best way to see the real Hawaii. Make frequent stops and don’t be afraid to talk to the locals. You’ll find that most are very friendly and welcoming. Too many visitors spend most of their time at their hotels and never get out and explore the island on which they are staying. On Oahu take TheBus, Oahu's excellent public transportation system. TheBus has a ridership of approximately 75.5 million annually on its fleet of 518 buses, providing daily service on 110 routes. There is almost nowhere on the island of Oahu that you cannot get to on TheBus. 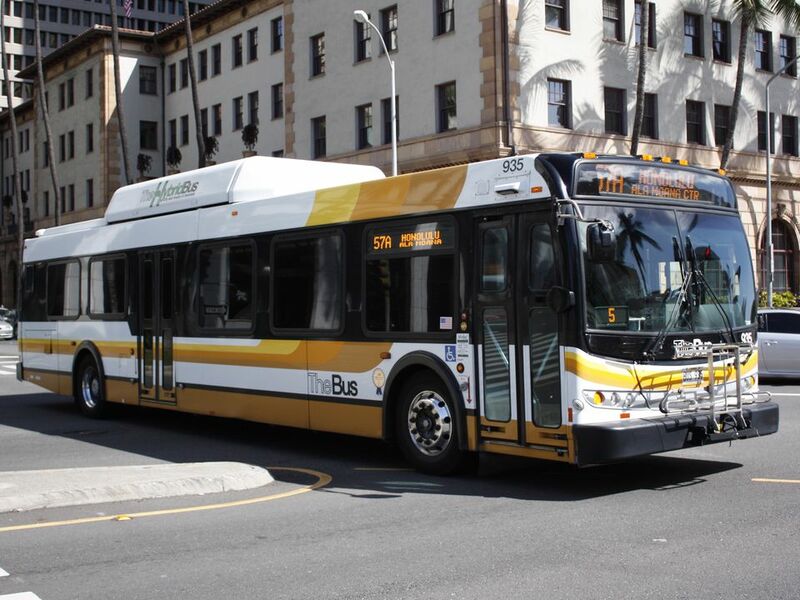 For example, many visitors prefer to take the bus to downtown Honolulu, Ala Moana Center or Pearl Harbor rather than use their rental can and have to worry about traffic and parking. The other main islands, Hawaii Island, Kauai and Maui each have their own somewhat limited public transportation systems. On Oahu, you can also take the Waikiki Trolley which makes stops at key places. You can explore Honolulu, Pearl Harbor and/or Waikiki with a 1-, 4- or 7-day hop-on-hop-off tour and see all the top attractions at your own pace. Step aboard a double-decker bus or open-air trolley to pass the capital city’s best restaurants and shops, historic sites and renowned scenery. Choose from four different routes, marveling at Diamond Head on the Green Line or the beautiful Makapuʻu Point on the Blue Line. You can upgrade your ticket to include all of the lines. A self-guided walking tour is a great way to explore downtown Honolulu on Oahu, Hanalei on Kauai, Lahaina on Maui or Hilo on the Big Island. There are many wonderful hiking trails. You can even hike to the top of Diamond Head on Oahu. Take Hawaiian Airlines, 'Ohana by Hawaiian, Island Air or Mokulele to fly from island to island. There are a number of choices for which inter-island airline to use in Hawaii. A day tour to one of the islands with Gray Line Hawaii | Polynesian Adventure Tours is well worth the money. Airfare and tour bus are included in the price. Take a helicopter to really see some of the out-of-the-way places. You can see Kauai's beautiful Na Pali coast or fly over Kilauea volcano on the Big Island. You can take the "Expeditions" ferry from Maui to Lanai. Finally, you should consider a full week cruise on NCL (Norwegian Cruise Line.) You’ll visit four of the main Hawaiian Islands and make stops on each.